How many times have you been in a place where you’ve come across inaccurate thinking? What would it take to mitigate the influence of inaccurate thinking in your mindset? Imagine the impact it would make if you were able to overcome cognitive distortions. 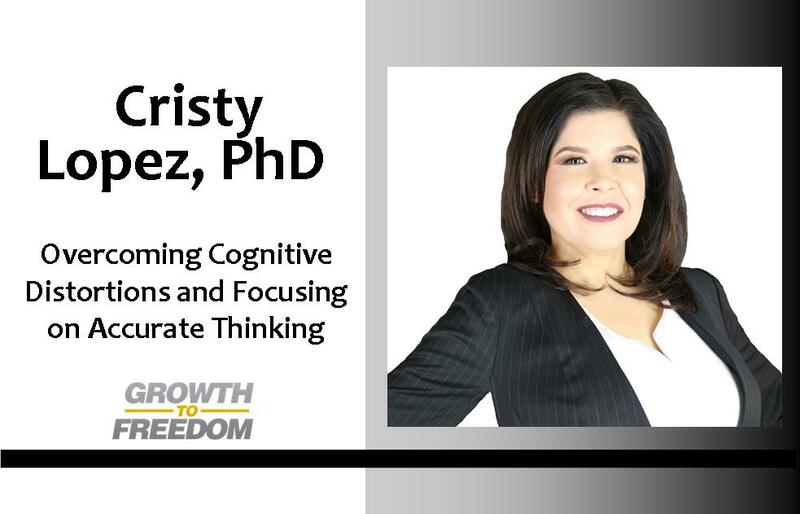 Today’s conversation is with Dr. Cristy Lopez, a celebrity expert psychologist, coach, consultant, and speaker. She helps people maximize their productivity and contribution in life, relationships, and business. NEVER miss an episode of Growth To Freedom click HERE to subscribe!